Trying to Get Your Real Estate Project Noticed By National Media? Trying to get your real estate project noticed? Wish you could get major attention from national media for your real estate project? 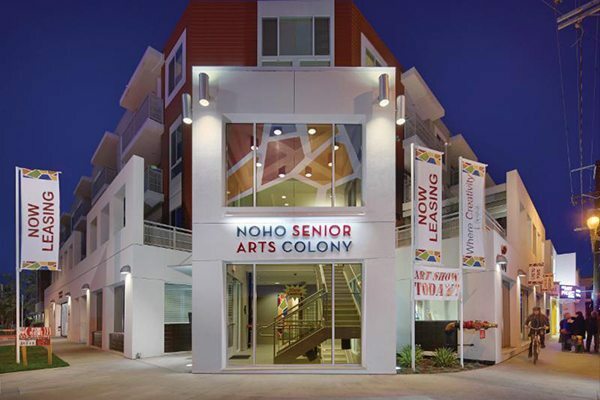 Brower Group promoted Meta Housing Corporation‘s fabulous North Hollywood senior apartment community, NoHo Senior Arts Colony, to the largest audience possible. Is this senior apartment community different than most? Absolutely. Did we make sure the whole world knew about it? Yes we did. and scores of other well-targeted media, including several segments on Los Angeles television news stations. Want to find out more? Click here to read the rest of this newsletter. News for shopping center owners: Maybe you can eat online! Is Your Company’s Website Relevant? Creating Authentic Social Media Attention for Your Business? As Millennials Age, Are They Becoming Their Parents? "Since the launch of the new website designed and created by Brower Group, we have had such a large influx of new business we are actually hiring more coaches to accommodate the extra work!" "The Brower team is exceptional. The social media marketing strategy they created for our shopping centers is creative and smart - and it works. We continue to see increased consumer and tenant engagement month after month, and we are impressed by the results." "The Orange County Rescue Mission has benefited from our relationship with Brower Group in many ways. The agency generates publicity that drives real results – including financial donations, food donations, and in-kind donations that help us to achieve our mission." "The Brower Group team is a true partner to our firm. This is a polished, professional, and creative group of people who consistently deliver strategic PR and marketing solutions that bolster the value of our brand." "The Brower team is unstoppable. From Wall Street Journal feature articles to consistent local press, we continue to see tremendous results, month after month. We highly recommend this agency." "As we do with all our partners, when selecting a corporate communications partner, it’s essential to choose the best in the industry. We’ve done just that with Brower Group. The agency consistently generates strong results for our firm on a national, regional, and local basis." "I can say with confidence that this is by far the best investment we have made as a firm. Brower Group is the most creative, ethical and responsive firm we have dealt with in our many years in business. The agency continues to impress us with their media savvy and their ability to develop new ways to promote our business. Their work has highlighted us across the country. Wherever I travel, people know of our firm." "After hiring a dozen agencies around the country, I found that Brower Group is the most creative and consistently effective public relations firm I’ve worked with. They continuously generated impressive results for my company." "Brower Group understands our business, and works consistently to drive the RAF Pacifica Group brand forward. Through creative and proactive PR and marketing, the Brower team continues to build national prominence for our firm. I highly recommend this agency if you want to get the best results." "Creative, professional, and responsive - the Brower team is a pleasure to work with. For more than 14 years, this team has proven themselves capable of making smart decisions, moving quickly, and working with gusto to promote our shopping center." "We find Brower Group to be best-in-class at their work, highly professional and responsive, as well as thoughtful and creative in crafting the best path for each initiative." "It’s a pleasure to work with smart professionals who understand what we need and deliver the best solutions. Brower Group makes the process smooth and effective." Matt Ross, Vice President of Sales, Summit Funding Group, Inc.
"Brower Group has had a transformative impact on our organization. The team continually demonstrates their commitment to our mission and produces results that truly make a difference. They bring a professional, attentive, and proactive style to healthcare communications." "Brower Group is a longstanding partner that understands our vision and continues to drive strong results for our company. From national publicity to local events, the firm consistently reaches our target audiences with the right message." "The Brower Group team is unmatched in their intelligence, ability, and drive. The firm directed our website and brochure project with ease, producing compelling marketing tools for our practice via a process that was seamless for our team. If you are seeking a firm for healthcare marketing, this is the agency to choose." "The Brower Group team has literally surprised us with the results they achieve for our firm. From creating our impressive website, through getting us in front of our top targets nationally and in specific cities, this firm is sharp and is getting it done right."